We have been servng victims of car accidents & other injuries in Marion, Harrisburg, Metropolis, Benton &; Carbondale since 1972 We were 1st law firm to earn a settlement over $1,000,000 in So. Illinois and we're proud of our track record. Offices in Marion, Carbondale, Benton, Harrisburg & Metropolis Lawyers Bridget and Raymond Lawler are car accident and truck wreck attorneys. At Lawler and Lawler, we have also handled worker's compensation and injuries for two generations. Offices in Marion, Carbondale, Benton, Harrisburg & Metropolis: Lawyers Bridget and Raymond Lawler are car accident and truck wreck attorneys. At Lawler and Lawler, we have also handled worker's compensation and injuries for two generations. We have obtained large recoveries for thousands of satisfied clients that have been injured on the job or in a car accident and have sustained neck, back, brain, arm and leg injuries as well Wrongful Death claims. If you have been injured in a car accident that was caused by someone else's negligence, you may be entitled to recover money for pain and suffering, payment of reasonable medical expenses and lost wages. In order to bring a claim for damages, you should contact the Marion, Illinois car accident lawyers, at Lawler & Lawler, as soon as possible. The longer the time between the accident date and the date you first go to the doctor, the more the insurance company will try to reduce your injury claim. It is also important for you to consult an auto accident attorney before saying anything to an insurance company adjuster. Anything you say to an adjuster could be used by the insurance company to reduce the value of your injury claim. We handle all car accident cases and wrongful death cases on a contingency fee basis. If we do not make a recovery for you, you owe us nothing. There is no lawyer fee until settlement. Remember, the sooner you call us, the sooner our car accident lawyers can go to work on your behalf. Call 618.889.4981for free. There is no attorney fee until settlement. We take care of you the client. Raymond Lawler graduated from Conception Seminary College with a B.A. He graduated from Mercer University Law School with a J.D. 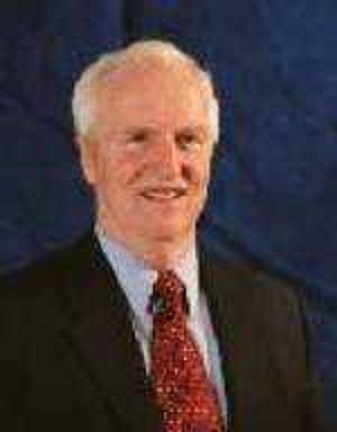 After graduation from Mercer University, Raymond was admitted to the Illinois State Bar in 1972. He practiced personal injury law with trial attorney Ralph Harris at Harris and Lambert for over four years. Raymond opened his own personal injury law firm in 1977 and has helped thousands of victims of car wrecks, motorcycle accidents and other serious injuries. He limits his practice to serious personal injury, accidents and workers' compensation cases. Free consultation. "We never charge any fee until you recover. Few attorneys can say that in Southern Illinois." Give Raymond Lawler a call at 618.889.4981.